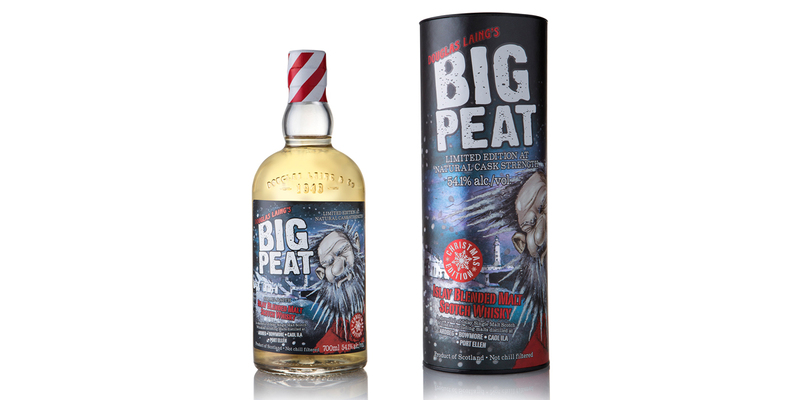 Christmas has come early as Douglas Laing & Co, leading family Scotch Whisky firm, today reveals Big Peat’s Christmas 2017 Limited Edition. The annual exclusive release is bottled at natural cask strength, this year at 54.1%, and is said to be “a cask strength, smoky blast that delivers the ultimate taste of Islay Whisky”. 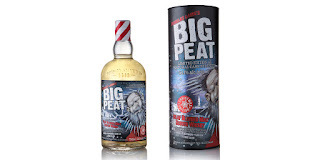 The much-anticipated packaging is designed to appeal to the Christmas gift-buying market, and shows Big Peat bracing a blizzard battering his island home of Islay. His trademark beard has turned to icicles and he has swapped his familiar polo neck for a festive red variation. Red foil and spot varnish details bring to life an eye-catching gift tube and label design. As always, the all-Islay “Vatted” Malt Whisky inside is offered without colouring or chill-filtration, in line with the family firm’s philosophy to bottle Scotch Whisky “as natural as it gets”.